Ir Dr Anthony Lau is a logistics entrepreneur with over 40 years of experience. Anthony is Chairman of Pacific Air (HK) Ltd and PAL Express Ltd specialized in airlines GSA/GSSA and e-commerce fulfillment services. 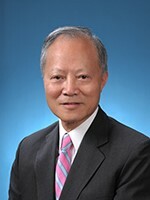 Prior to establishing Pacific Air (HK) Ltd and PAL Express Ltd, he founded and led BALtrans Holdings Ltd to list on the Hong Kong Stock Exchanges and became the largest Hong Kong based public listed logistics group with US$650m sales revenue operating in 65 cities in APAC, EMEA and North America at exit to Toll group in 2008. He had served in Hong Kong Logistics Development Council and Hong Kong Civil Aviation Advisory Board for a number of years. He had also served as chairman of the Asian Institute of Supply Chain and Logistics, Hong Kong Association of Freight Forwarding and Logistics Ltd and President of The Chartered Institute of Logistics and Transport in Hong Kong and various Industry and Community Services. He holds a PhD from Edinburgh Napier University, and an MBA from Macau University, and is also a MHKIE, FCILT and FCIM.